Is There An Explanation For Las Vegas? No immediate idea for a cartoon came to my mind after I heard the news of the Las Vegas mass murder last week. 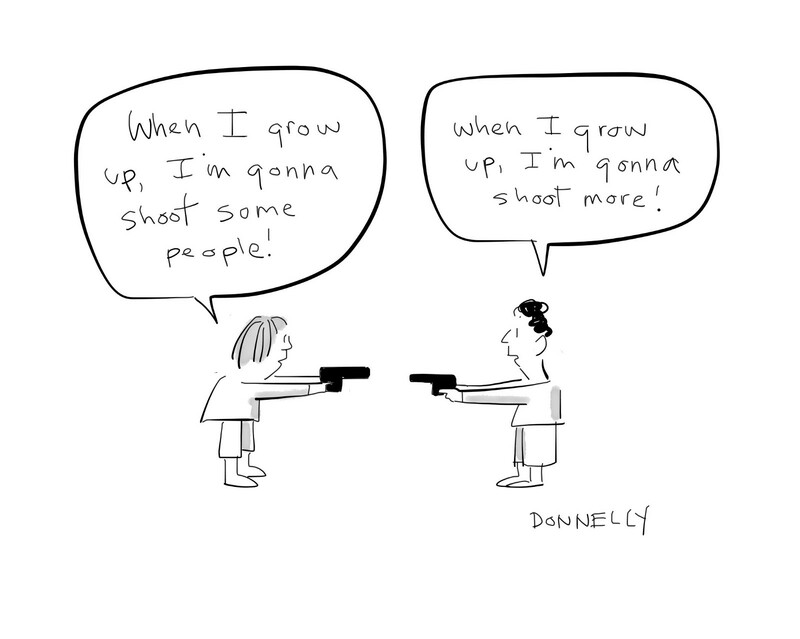 Over the years, I’ve done cartoons about gun violence many times, I’ve drawn about the NRA. This one was hard to grasp. It’s unclear what the motive of the Las Vegas murderer was. Part of me doesn’t care to know; yet part of me wants to understand so we can as a society figure out more what we are doing wrong. When I first heard about the masacre, I immediately thought it sounded like someone who was shooting people as if playing a video game. No regard for human life, simply treating the gathered concert-goers as inanimate objects on a screen. I drew this cartoon today after thinking about the tragedy for a few days. My heart goes out to the victims and their families.